Discussion in 'Headphones, Earphones & Portable Music' started by majnu, Mar 6, 2013. Anyone got these cans? I ordered one yesterday and will be using the Tenso service to have it shipped to the UK. The only downside is warranty which may not be adhered to since I bought them from Japan. As I'm not a music junkie I bought these primarily for gaming and listening to movies. The AD700 is a bit too girly for my liking with the pink/purple grill and has been in production for a very long time. They've also upgraded the 700 series which is now the AD700x but because the AD900x was within my budget I opted for them instead as they "should" bet better. 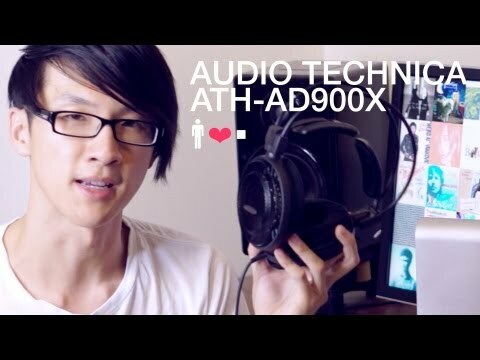 These will be replacing my HD595's which I've had for donkey's years now. I am an avid Battlefield 3 player and have discovered sounds like grenade bounces, foot steps, water fountains and ricochets that I never heard before. Look at the frequency response of these vs a pair you are looking at. The wider the range the more discreet sounds you will hear. And dont worry about directional positioning I can distinguish where a sound is coming with accuracy. Can't wait to try these out, they look huge. Wow. They are bookshelves on a coat-hanger. Awesome. .